81st Football awards banquet took place Nov. 19. The presentation in girls volleyball took place Dec. 3. 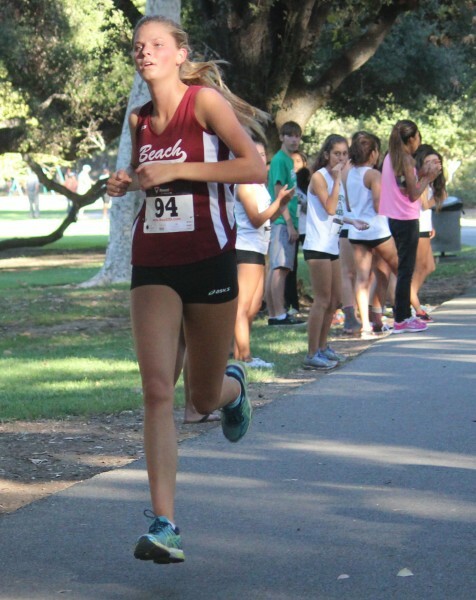 Number six runner Janie Crawford proved to be the difference, finishing 12th overall to break a 30-30 tie with Godinez to give the varsity girls the win at the Orange Coast League cluster meet in Irvine Regional Park Sept. 24. Photo courtesy of Laguna Beach Cross country.